Culpeper County VA is home to approximately 50,000 residents and growing everyday. Surrounded by rolling hills and scenic views of the Blue Ridge Mountains, creates a picture perfect place to call home. Culpeper is rich in culture and many adventurous outdoor activities to enjoy year round. The Rappahannock River allows for canoeing and fishing year round. The charming town of Culpeper is sprinkled with delightful restaurants, shops and a great place to spend time dining and window shopping. 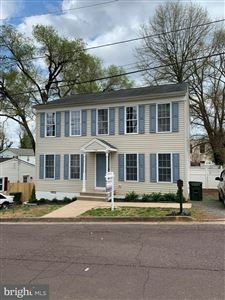 Local Area Insights Culpeper VA includes current listings, recent sales, and more. Whether you're a buyer or seller, the knowledge you gain will help put you in control of your real estate transactions. Local School Information Culpeper VA The quality of a school can greatly influence home values in an area. As a local expert, I can connect you with a variety of resources that will help you evaluate area schools. Popular Places Shopping,Restaurants & More Culpeper VA Everyone wants to be in the know of where all the locals go find out its all about location. What's important to you when purchasing a home in Culpeper? Listing courtesy of Marquee Properties, Inc.